If you are used to the old-style websites with a home page, an about us page and an order form, you have a lot to learn. People arriving at your home page are often casual browsers with no particular intention to buy anything. If you are running a targeted campaign or selling a variety of products or services, your best bet is to send web visitors to a page specifically created for that campaign, product or service. This page should immediately grab the visitor’s attention and make him or her want to take the next step. Before you start creating a landing page, therefore, you should get a few basics out of the way. Objectives: Ask yourself what your goal is with this particular landing page. Do you want to increase sales for your product, or do you first want to address and solve a problem you have identified among your target audience – e.g. people not having enough money to retire comfortably – and get their email addresses? Target audience: Who is the page aimed at? The whole message as well as the way in which it is presented will be different if you are targeting 20-year old football fans from if you are targeting rich 65-year old widows who are looking for a place to invest their sudden wealth. Call to Action: Landing pages are by definition not the kind of place people spend a lazy Sunday afternoon reading the works of Shakespeare. Things here happen fast, people visit and leave at light speed. You might have only ten seconds to get them to do what you want. And if you don’t know whether you want them to sign up for your newsletter, buy your product or play an online game of Chinese checkers, they will also leave without ever knowing what you wanted. Know what you want from your visitors, know why they are visiting your page and use every second they are spending there to convince them that clicking on the red button will deliver the goodies. Increase in PPC leads: A landing page optimized for your target market, i.e. the kind of people who actually want to buy what you have to sell, will attract the right kind of visitors from you pay-per-click campaigns, and more of the clicks will end up in sales. Unless, of course, you like paying for clicks that lead nowhere. Improved quality scores: A well-designed, highly targeted landing page will get a better quality score from the search engines. And if Google and its sisters like it more, it will improve your rankings and reduce what you have to spend on paid clicks. 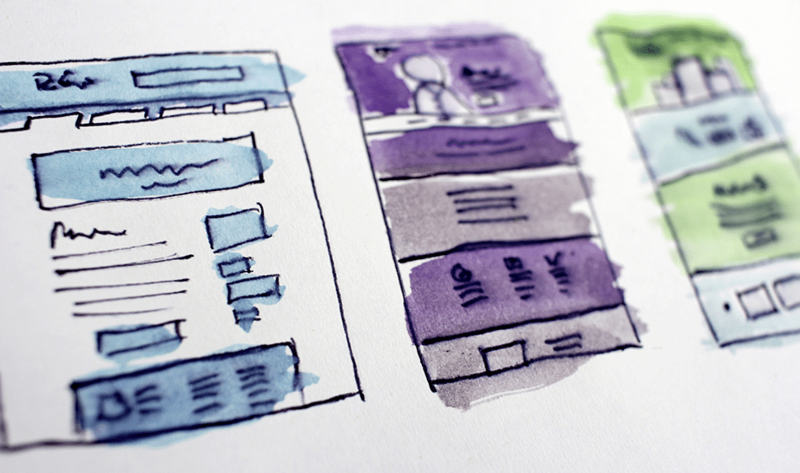 Requirements for an optimized landing page: Not all landing pages are created equal. What follows is a summary of discoveries other people made after spending a lot of money and effort, and which you now get for free. Be grateful. Be very specific: Someone arriving on your home page will most likely click around a bit, read the About Us page, and more often than not leave for the next website. Since with a landing page you are targeting a specific audience, you need to be very specific. Do not try to sell 100 different products on such a page, or confuse the visitor with endless technical jargon. Get to the point, be clear, be concise and do it in as unambiguously as possible. The importance of layout:The layout of every landing page you create should on every front be consistent, with a headline that stands out, clear body copy and a call to action. For the call to action (CTA) using contrasting colors is a good idea. Do not go overboard with this, but you could play around a bit with different wordings and combinations to test which ones get the best results. Also try not to turn your landing page into a site map. For an optimized landing page, always remember the three most important principles: focus, focus, and focus. You want to direct your visitors to a specific action. If you are selling a stock trading course for $1000 a month, you can either ramble on for hours about how good you are, or you can show a picture of you and Warren Buffet, with a note where he says ‘These people taught me everything I know about investments’. Which approach do you think will get the most clicks? Of course always remain honest and don’t make claims which are obviously exaggerated or false. And beware that one man’s hero might be another man’s villain, so if you decide to use that recommendation from Donald Trump, don’t expect to get too many orders for your Best Presidents in History ebook. Avoid clutter: We can’t emphasize this too much. Over-the-top pictures often do nothing more than to distract website visitors from the main message. They also make the page slower to load. And if you throw in an auto-play video that starts playing at a thunderous volume just when your visitor is busy reading your introductory text, start waving good-bye to your Pay Per Click cash right now. Optimize your landing page for mobile: Statistics show that up to 75% of users in the United States access the Internet via mobile devices. For some parts of the world this percentage might even be higher. So when creating a landing page, it’s imperative that you design and test it to be mobile friendly. Make sure there is sufficient padding from the edges for those who access your site on a smartphone or tablet. Also make sure that the page’s design elements are big enough, and remove as many non-critical design elements as possible without negatively affecting the core message. Use a concise, clear headline: Imagine yourself walking past a book display at your local book store. You would first glance at the topics. Only if one of them captures your attention it might get you to stop, bend over, pick it up and read the summary or page through the chapters. All in all you might spend a few seconds, perhaps a minute before you move on to the next book. Now imagine a book with 500 words of the smallest imaginable text on its front page, all without any obvious purpose – you would most likely not even break your stride. So make sure the headline is easily noticeable, and place it in a eye-catching position where nobody can miss it, not even your 90-year old grandmother. Above the fold: We’ve all seen those pages where there is a bold, bright and very clear headline – but then things unravel. You start scrolling, and scrolling, and scrolling some more, until you develop vertigo without the guy coming to any sort of conclusion. Years of experience have shown us that the best results are obtained if you keep things above the fold. If your product or service needs a lot of explanation, e.g. an ebook about how a 50-year old, bald and overweight guy with no financial prospects can attract women, slip in the first call to action above the fold, and use it regularly down the page. One way to do this would be a really short paragraph in bold containing the CTA, which is then repeated, in a few variations, at regular intervals throughout the text. Repetition reinforces the core message and by the time the visitor gets to the end of the page, he or she might be sufficiently interested to take the next step. Make it easy to share: We live in an era where even the President sometimes shares what he had for lunch on social media. 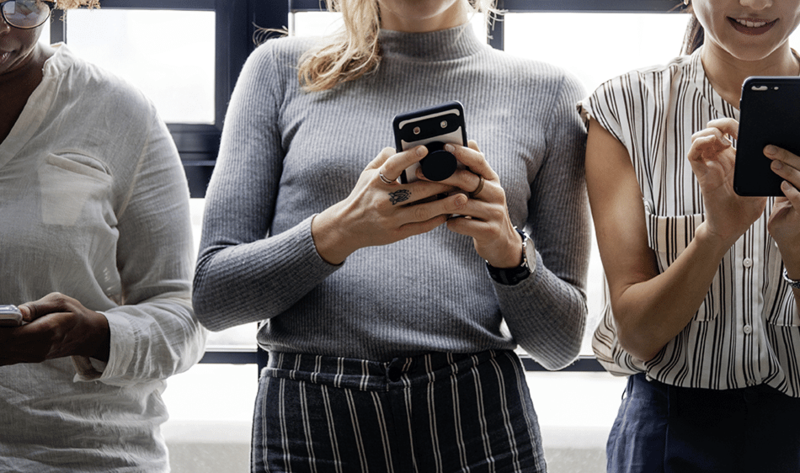 If your visitors are really interested in what they see on your landing page, they would most likely want to share it with their friends and family. Adding a Facebook, Twitter or Instagram share button requires virtually no effort, but can reap major rewards. The multi-step approach: If you sell a $3 ebook, you might actually be able to ignite sufficient interest among your target audience to get them to click on that red buy button without further ado. If you, however, sell a $500 a month stock trading course, a good idea might be to first give away something for free, to establish rapport and a certain level of trust with the visitor. In return for their email address or phone number, give them a free ebook that covers the basics of investing in the stock market. They wouldn’t take this step if they are not interested in stock trading, and it immediately gives you a mailing list with a very targeted audience. Not abusing this privilege could easily be the topic of a book, so just take our word for it: don’t spam these people with hourly messages. Using forms: It’s understandable that you would want to know as much as possible about your visitors. How old are they? From where? Male or female? Rich or poor? If you know anything about dates or first encounters though, you will understand that if you meet a new girl or guy and you immediately start bombarding them with one hundred questions, they will most likely run like hell. The same goes for using forms on landing pages. Just get his or her first name and email address and take it from there. Unless you like sitting alone in your room on a Saturday night wondering why all those PPC ads delivered absolutely no results. How would it change your marketing campaign if you knew that your visitors were much more likely to click the CTA button if they are from South East Asia, that most of them visit between the hours of 6 pm and 11 pm and that 75% of them clicked on a landing page with a specific layout and color scheme compared to only 35% for another version? Modern analytics tools enable website owners to get this type of information at the click of a button – and much more. If you do not have your own analytics software, e.g. Site Catalyst, you can always use Google Analytics totally free of charge. By simply using a few basic code snippets on every landing page you will be able to track results with ease, making it possible to answer questions such as whether making the logo bigger improved or reduced the conversion rate. Your landing page might be the first (and last) point of contact between yourself and a particular visitor. It’s like meeting someone at a social event – what you do or say could result in a lifelong friendship, or it could cause the other person to cross the street the next time he or she sees you approaching. So before you start working on your next landing page, please read this article again. Be an early bird and sign up for early access and the chance to win great prizes! 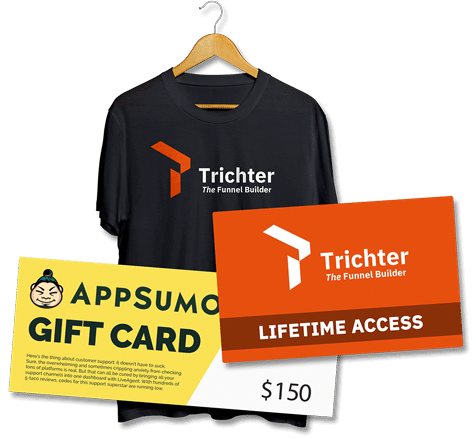 These include not only five lifetime agency accesses to Trichter, but also two $150 Gift Cards for AppSumo and 10 of our exclusive, never be made again Trichter T-Shirts. How does any online marketer secure a successful sale? The path from the initial ad to the checkout page is one of trial and tribulation. 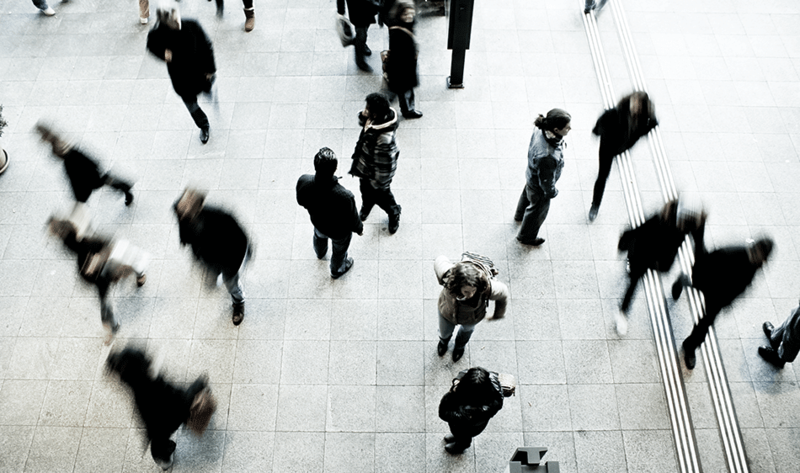 No matter if its your product creation, your inbound strategy or email marketing – customer personas will affect every aspect of your marketing. If looking at your landing page feels like having a look at a hobbling old man, struggling to make his way through the internet, let us help you. Great to have you on board! Now you just need to confirm your E-Mail and we are ready to go. Doesnt got a confirmation E-Mail? Klick on resend to get another one. and also get the chance to win one of many great prizes.